Welp, now we've done it! 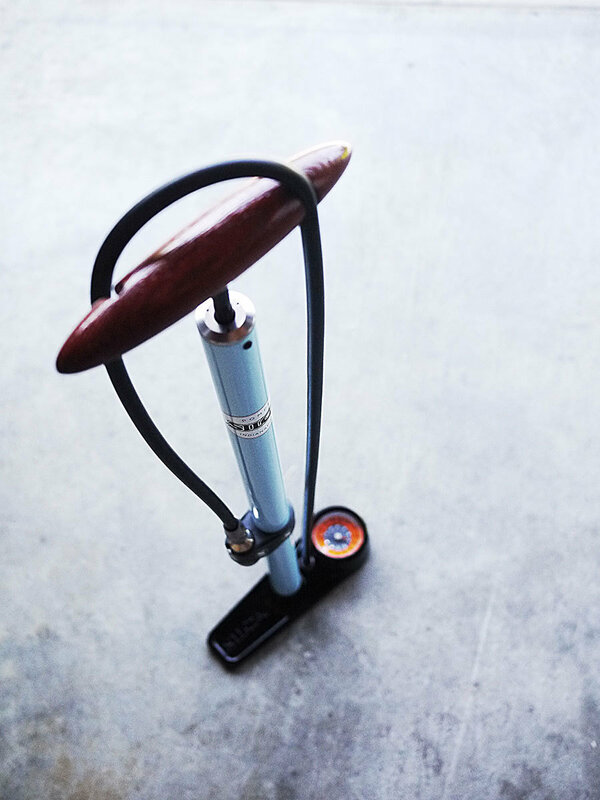 Together with Silca, we've come up with the PELOTON magazine blue Pista floor pump. This "powder" blue has been a part of our heritage since we started the magazine in 2010. You'll see the color on our logo for many covers, in just about all of our kits and now on the Pista floor pump! For those who have never used a Silca, or better yet have never owned one, now is the time to step up and get one for a limited time/run deal. "The modern Pista preserves the beautiful aesthetics of the original, but improves on the design in some very important ways. The gauge has been updated to a much higher precision +/-3% accuracy (compared to the original +/-5%) while adding reinforcement to the base which protects the gauge from damage and impact. The modern Pista handle is a near reincarnation of the original 1962 Bakelite handle with the two hose grooves that allowed the pump to lay as flat as possible in the trunk of a car or in a drawer. For this handle, the team at SILCA has specified Ash for its incredible strength and stability, which allows the wood to be CNC machined to even tighter tolerances. Full metal construction ensures a lifetime of flawless performance and reliability. The steel barrel and piston shaft are upgrades in quality and durability from the previous Pista designs adding linear glide bushings for ultimate smoothness; while the slightly enlarged foot guarantees improved stability without sacrificing portability." • ONE Silca/PELOTON magazine Pista floor pump in blue. • ONE set (2) of the Silca Premio tire levers (retail $18). • ONE-year of print and digital and access to back issues of PELOTON magazine. For new subscribers, please allow 6-8 weeks for your first print issue, and about one week for access to digital and back issues. You will get your pump first and the rest will follow! If you are simply renewing and tacking on to your current description, we've got you covered. Things will flow as they have been. For ALL subscription questions, please refer to email or phone number on the opening page of our shop.